New Jersey Lt. Gov. 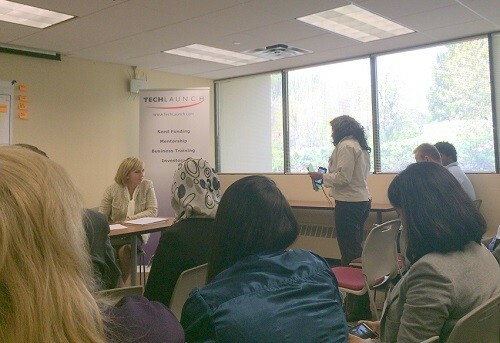 Kim Guadagno visited the TechLaunch (Clifton) accelerator on May 6, 2014, bringing her own special brand of excitement and marketing know-how to the young companies participating in the 16-week boot camp program. She dropped by TechLaunch as part of her small-business tour in support of National Small Business Week, May 12 to May 16. Small Business Week recognizes the contributions of America’s entrepreneurs and small business owners to the economy and job creation. 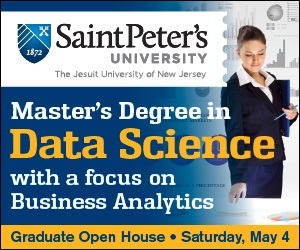 Because Guadagno started early and NJTechWeekly.com was a little late to the party, we can’t report everything that happened. We heard that the lieutenant governor, as she often does, gave her cellphone number to the group, asking members to call her if there was anything she could do to help. However, we were in the room when Guadagno listened to each company’s elevator pitch and quizzed the firms afterward. She also made suggestions, posed with Fusar Technologies staff to help promote the company’s “smart” motorcycle helmet (a photo op that ended up in The Record) and praised Inspirity founder Atiq Hashmi for his marketing know-how because he was wearing a T-shirt bearing his company’s name. Later, when Guadagno asked the assembled group members what the state could do for their fledgling small businesses, the TechLaunch companies weren’t shy. MobileArq founder Niru Mallavarupu asked for introductions. MobileArq is a “go green” product for schools, and Mallavarupu asked Guadagno to help her form a partnership with the New Jersey State Board of Education to provide schools an incentive to adopt paperless school directories. Fusar and RSS (Retail Shopping Systems) said New Jersey should consider providing or subsidizing quick, cheaper prototyping resources to help theirs and many other hardware-based businesses. 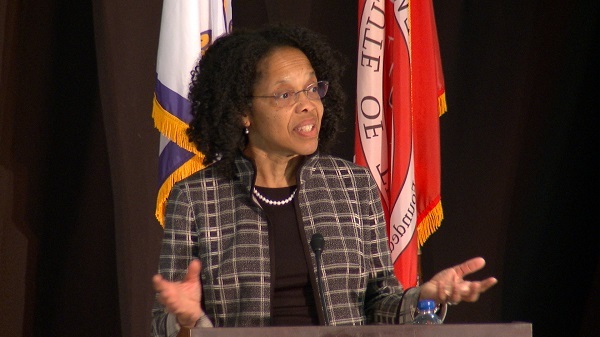 Kathleen Coviello of the New Jersey Economic Development Authority (EDA) chimed in that there is a TechLaunch mentor interested in the makerspace movement who might be able to help them. 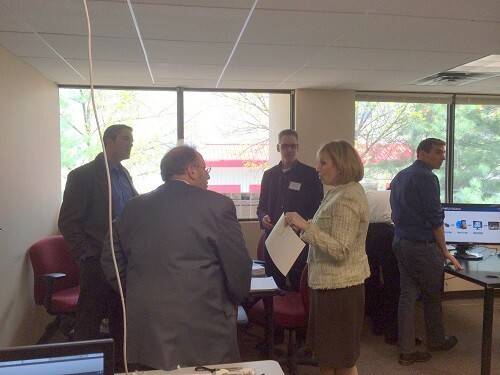 Guadagno also visited each company’s workspace at TechLaunch, watching demos. 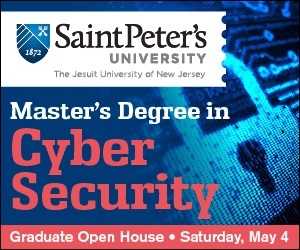 The Shield Technologies team was surprised and delighted when the lieutenant governor hauled Montclair State University Provost Willard Gingerich to their desks, telling him to let the company beta test its key fob- and cellphone-based campus security system at the school.